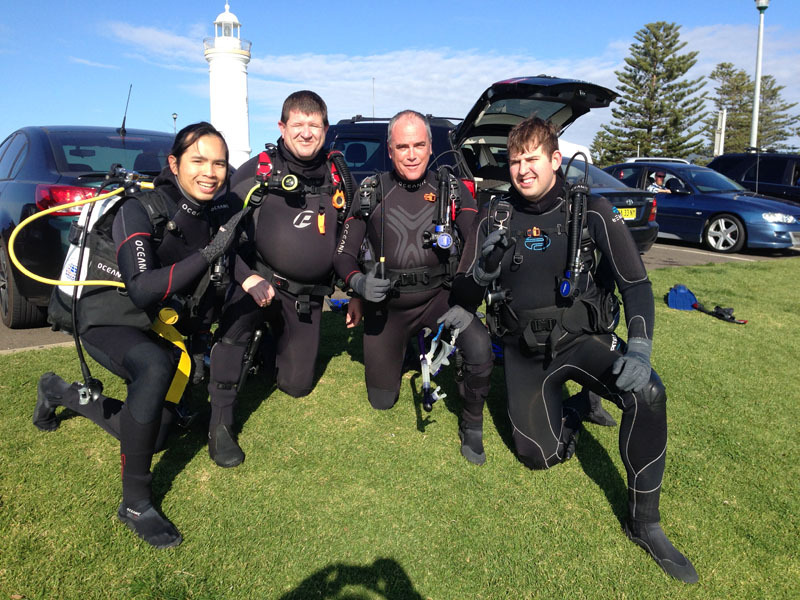 Congratulations to the three new dive masters, Scott, Darren and Brian who completed their final dives of their divemaster course last weekend at Kiama. It was a new dive site for all but one of us and a great dive it was with us spotting a moray eel upon descend and 4 Port Jackson sharks. Looking forward to having them help out with more diving at United Divers.